Honeywell DP4040C5009 208 or 240 Vac 4 Pole Contactor. 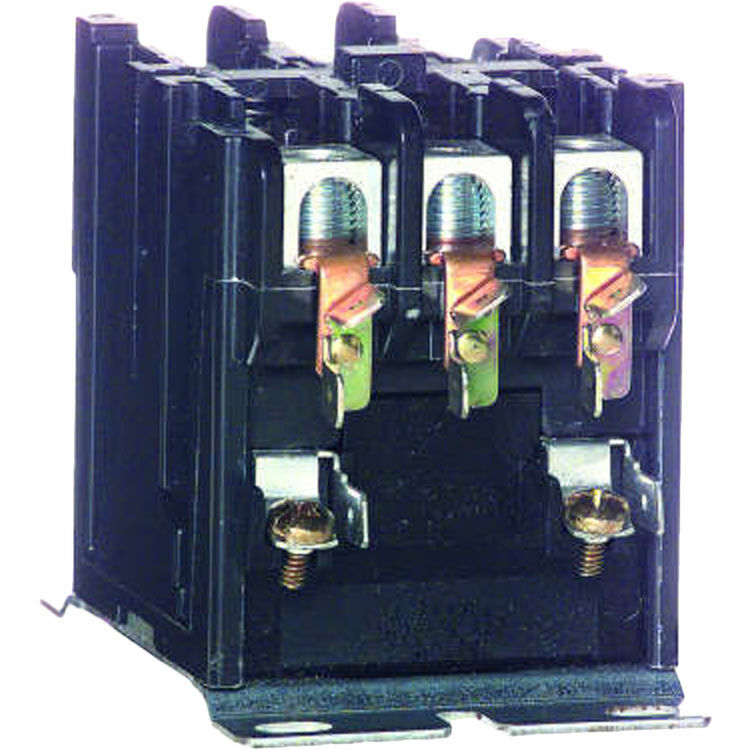 The Honeywell Definite purpose four (40A) pole contactors provide switching for across-the-line starting of induction motors. Designed for Switching Motors And Heating/Cooling Loads. With Lug Type Load Connections. Shrouded coils on 3 pole (25A to 60A) models protect the coil from harsh environment factors. Moisture proof epoxy is used to encapsulate the 3 pole 75A through 120A coils. Traditional design meets many needs. Full array of replacement coils, contact sets and accessories available.